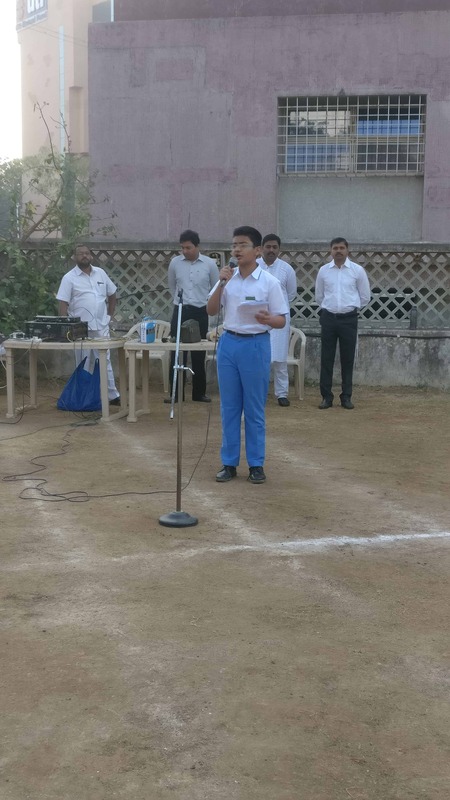 The 70th Republic Day was celebrated on 26th January, 2019 at the school ground at VCW AVM. All the staff along with the students of std 5 to 9 assembled on the ground. 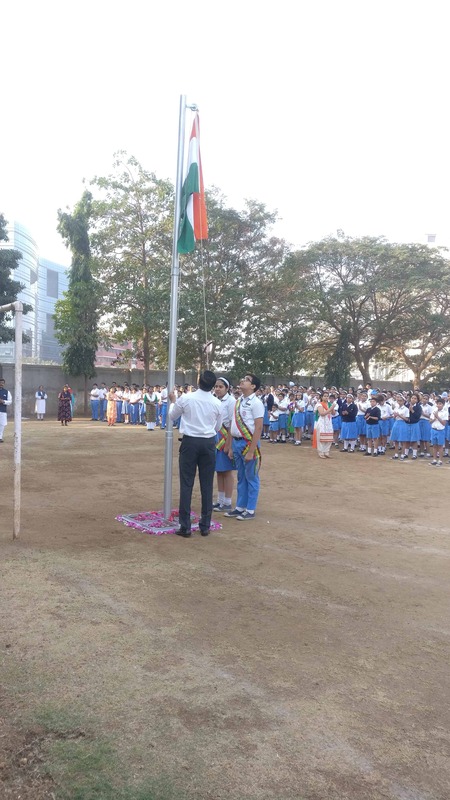 The Head Girl Kanika Chaddha and Head Boy Lakshin Nagpal hoisted the national flag followed by the salutation and singing of the National Anthem. 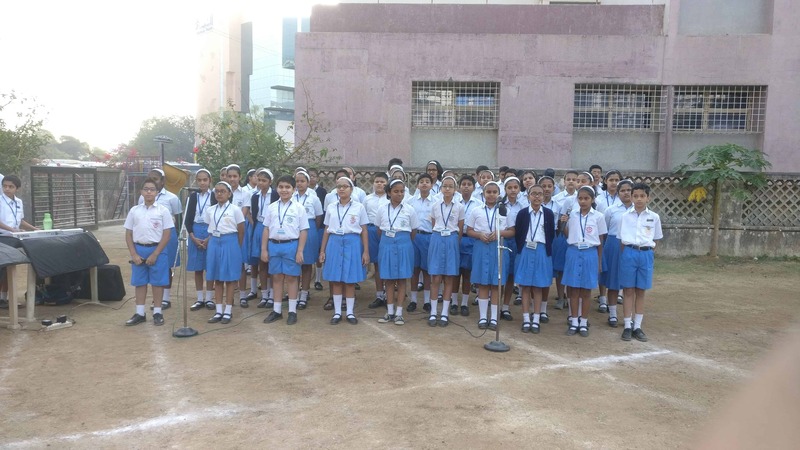 The programme then continued with the Gayatri mantra and a melodious patriotic song was sung by the students of STD 6. Miss.Malvika Chintal student of 9th/C delivered a speech in English about the importance of Republic day. The Principal then addressed everyone present about their responsibility as citizens of the country and school. 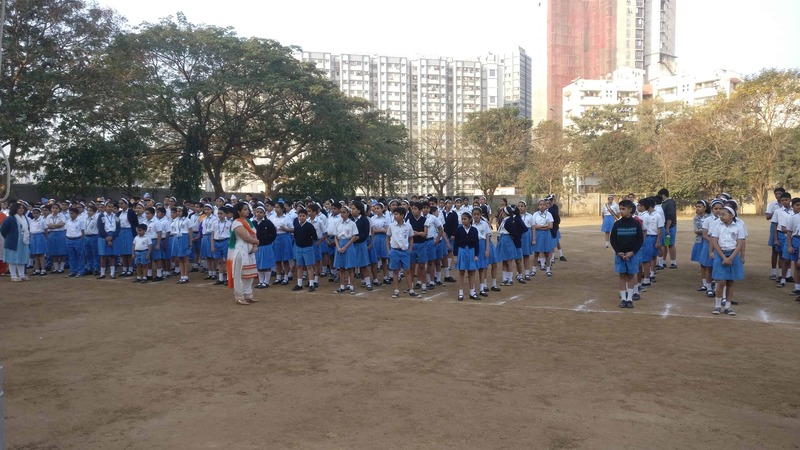 The Republic Day Quiz was then held in the respective classrooms from STD 5 to STD 9.